It’s Throwback Thursday! This EmpowerMoment was originally published on April 29, 2011. Enjoy this blast from the past! Have you ever gotten to the point where you doubted God and started wondering whether or not He would bring you out of your situation? We all get caught in these type situations, whether they are self-inflicted or brought on by something or someone else. We find ourselves in a personal “Death Camp” in which we feel all is hope is lost. The light at the end of the tunnel gets dimmer and dimmer and we question, “Why me Lord?” We only see darkness and never take into account that the daylight will come soon. 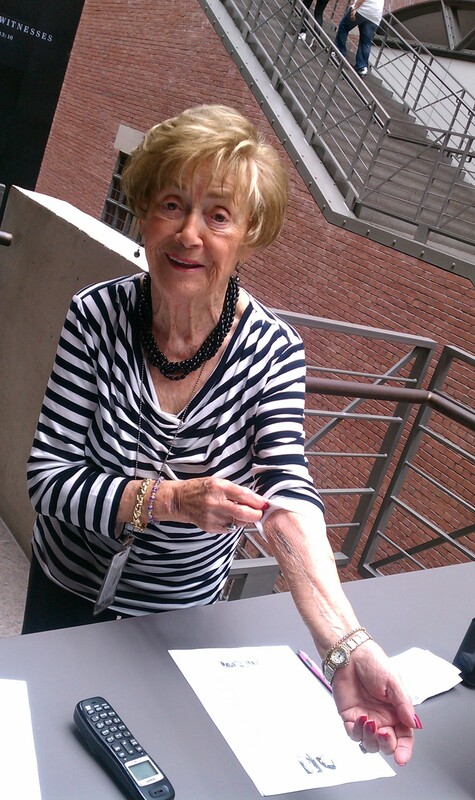 As Regina held up her arm to show me the number that the Nazis branded her with, I realized that even though she had been marked for death she refused to die. Her faith allowed her to survive what the enemy had on her life. I ask that You continue to increase my faith. Allow me to see that after every night is a morning. Allow me to trust in You no matter what. In my times of weakness allow me to continue to trust and believe that You will bring me out of my situation. In Jesus’ Name, Amen! Today EMPOWER your FAITH. Never forget Regina and how her FAITH sustained her even when it looked like death was knocking at her door. KNOW that no matter what you’re going through GOD will bring you out. 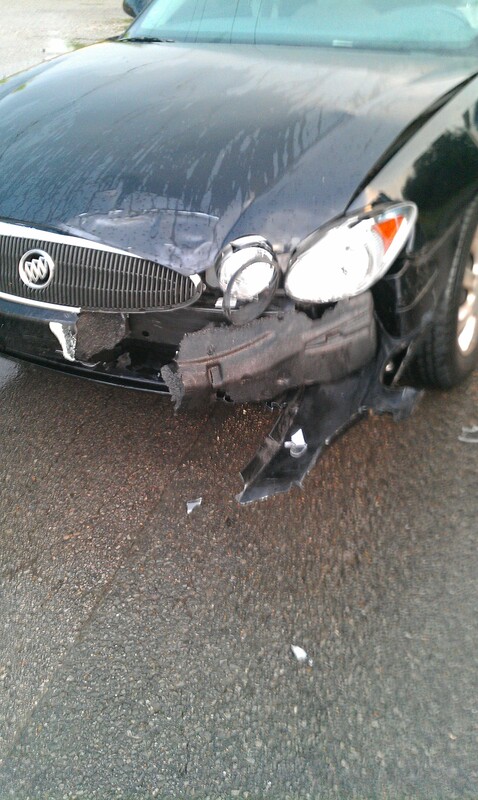 Two months ago I was involved in a car collision that changed my SPIRITUAL life forever. The days following the impact I was having the hardest time. I couldn’t get past the fact that the other driver failed to wait for the traffic to clear at the stop sign before proceeding and the damage to my vehicle was making the situation even worse. Praise God that all parties involved were alive but unfortunately my car was caught in the crossfire and I was left confused and uncertain as to what was next. Shortly after the repairs began, I went to gather my belongings out of my beloved “Bentley-Lo” only to find the entire front had been removed. There was no sign that this was the same car that I was proud to say that I owned; rather it looked identical to the other junk cars that sat on the lot of the auto body shop. 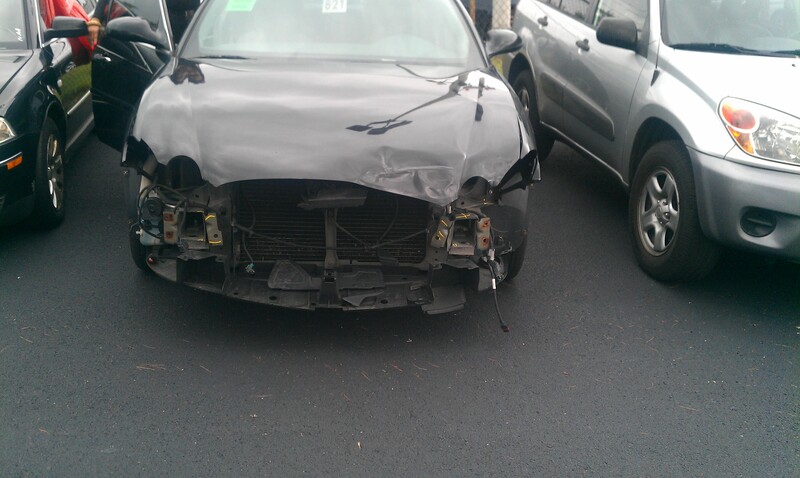 My car appeared to be used, abused, and left for dead with hopes of being transformed back to its original state. 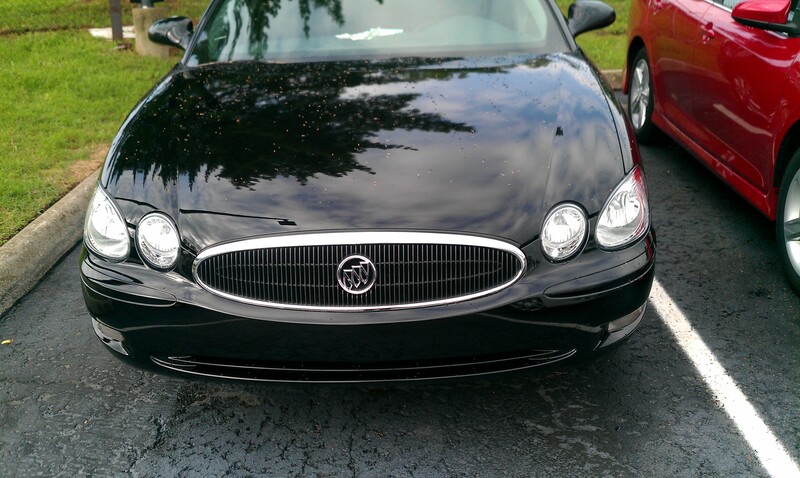 Two days ago I picked my car up from the repair facility and it looked good as new. The evident damaged was non-existent, the somber scene from the breakdown had passed, and I was now staring at proof that change can be seen on the outside. As I witnessed my car’s transformation, I was reminded of the stages that our relationship with Christ goes through. We endure trials that leave us damaged and we take forever to accept that not everything is about us. We go through tough times for God to get the glory and to encourage others who may experience similar situations… It is NOT about us! Then when we reach a certain point in our relationship with God, He will disassemble our hard exterior in order to expose our most sensitive layer. However, when it is all said and done, He restores us to a condition that was better than before. He renews us in every aspect so that people can only see Him and not the collisions that we were involved in previously. Thank You for helping me to recognize that my trials are deeper than what I can see but that they are for Your glory and the deliverance of others. Please remind me that the process does require the extraction of things that are not of You in order for our relationship to continue to prosper. Lord, I thank You in advance for the overflow, deliverance, increase and restoration which will be released unto me at Your appointed time. In Jesus’ Name, Amen! Have you undergone a Godly transformation? Do people tell you that you are not the same? Share your story with us in the comment section. God has been impressing on my heart to really seek Him more, to make our relationship priority. I have to be honest; I have let some other things take precedent in my life. I’ve been feeling disconnected lately from His presence. This happens when I overload my schedule and feel guilty when things begin to fall apart. In order for us to have the “best” of the land, i.e. blessings, we must be obedient. You cannot expect God to bless what He has specifically told you to let go. Today is the right time to get right with Your Father. God will give you the power to overcome each and every obstacle that would hinder a meaningful relationship between you and Him if you allow Him to have complete and unrestricted access to your life. Please allow the song below to bless your spirit. Let each word that speaks of His mercy and love into your heart. Once you understand the love of the Father, you will desire to not break His heart. I am so thankful for Your mercy and for Your endless pursuit of my affection and attention. Forgive me for not making our relationship priority. Help me to not ignore the promptings of the Holy Spirit. Keep a hedge of protection around me so I may have the strength to withstand temptations and trials. In Jesus’ Name, Amen! Ladies, I EMPOWER you to allow God’s love and mercy to transform your life. Do not allow anything to place a barrier between His Love and blessings for your life.